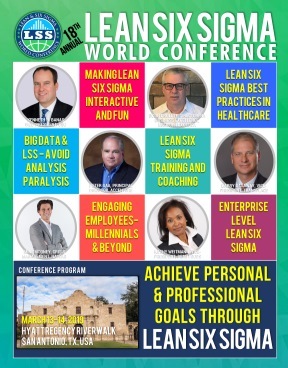 Lean Six Sigma World Conference - Lean AGILE and Voice of the Customer: Aligned for Success! The Voice of the Customer (VOC) is usually defined only as surveys and focuses on satisfaction. In this session, Nathan Gehman will speak about his first-hand experience of being a Lean AGILE Product Owner and the benefits of aligning a team within your corporation to focus on a broader set of Voice of the Customer data which can be translated into a broader business case that addresses revenue along with cost savings. Nathan will suggest other types of data that should make up the VOC and how this data can create a more compelling business and internal case for action. Nathan will address issues including: What type(s) of survey do you send to your customer and what does voice of the customer mean to you? When is the last time you reviewed what your survey was asking and will the questions provide you with actionable feedback? How do you handle the data that your customers respond with? Do you analyze it and send it out to leadership and most important, how do you act on it afterwards to bring their comments to fruition? How do you use contact and website data to reinforce and corroborate survey findings and get Finance and Marketing buy-in? During this presentation, Nathan will tell you about his journey in Lean AGILE and also the proper alignment within his organization that allowed him to directly impact the customer experience. With the right type of corporate alignment, Nathan was able to drive a customer facing platform “Ease of Use” customer experience from 73% up to 79% during 2016 which was the highest increase seen on that particular platform ever. Learn the simple steps that he used to create customer satisfaction and now has customers writing in stating “thank you for listening” to their comments. It is all about how you utilize your data provided and how you organize a team to engage with other areas to ensure what the customer wants is what the customer gets.